To date the Coalition has admitted to 272 civilian deaths across 93 separate known incidents in Iraq and Iraq and Syria – with 80 more deaths recently confirmed in an unknown number of further undeclared events. The Airwars best estimate of civilians killed by Coalition strikes is nearly ten times that figure – a minimum of 3,294 to 5,281 killed as of May 3rd. More than 1,400 civilians who died in these strikes are already known by name. Coalition officials have admitted that their casualty monitoring team is struggling with a backlog of many hundreds of alleged incidents it has yet to assess. To March 31st of this year the Coalition recently told the Los Angeles Times it had so far assessed 396 incidents. By that point Airwars had already tracked 1,135 claimed cases – indicating that 65 per cent of incidents have yet to even be assessed. The Coalition team has just two people, and thanks to military protocols also has limited web access, making it difficult in particular to view social media websites where many civilian casualty reports originate. Despite their meagre resources, Coalition investigators have attempted to incorporate greater outside reporting, and have also increased the number of cases considered in the past several months, rising from 11 completed assessments in December to 17 in May. While most initial assessments were overly reliant on flight recordings and internal reporting by pilots and analysts, the Coalition now says it looks more broadly at media reports and monitoring work. In late March, CENTCOM’s commander General Votel highlighted to Congress the military command’s relationship with groups including Amnesty, CIVIC and Airwars. However despite these improvements the backlog of cases yet to be considered has only grown due to the large number of civilian casualties now being reported from Mosul and Raqqa. Airwars is also concerned that the Coalition – which costs the US alone some $13 million per day – may become overly reliant on groups like Airwars to bring cases to their attention, without devoting necessary additional resources themselves. In its most recent monthly civilian casualty report, the Coalition reported that it had “carried over 43 open reports of possible civilian casualties from previous months, received 27 new reports, and completed the assessment on 28 reports.” In comparison, Airwars researchers have monitored more than 320 civilian casualty event allegations in Iraq and Syria over the course of just March and April. As Airwars noted in a transparency audit of the Coalition late last year, “the widening gap between military and public reporting of civilian fatalities on the battlefield risks significant reputational harm, in addition to further risk to civilians and lack of accountability for victims.” To date, despite 4,000 airstrikes between them no non-US Coalition member has admitted to involvement in a single civilian casualty – a statistically implausible outcome that casts a shadow on the entire alliance’s credibility. These are just 10 of 500 incidents currently assessed by Airwars as likely having killed between 2,800 and 4,400 additional civilians which the Coalition has yet to concede. On the first night of US strikes in Syria, cruise missiles hit the town of Kafar Daryan, in Idlib governorate. At least 13 civilians, including 2 women and 5 children were reportedly killed in the attack, in which the United States unilaterally targeted the al Nusra Front. A preponderance of evidence, including video from the scene, field investigations and multiple eyewitness reports, confirmed these accounts. 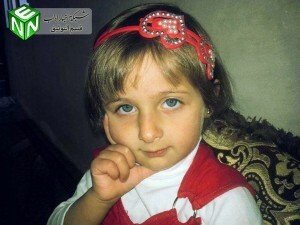 Among the dead was a young girl named Basmala, who was killed along with her young brother and both parents. At least four members of the same family died when their home was destroyed in an airstrike on the Bareed neighborhood of Mosul. 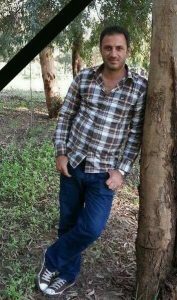 Their names were Sumiah Ibrahim Mohammad Ali Hadded, age 53; Muthana Ghassan Salem Hadeed, age 23 (pictured); Fadheela Wesam Salem Hadeed, age 23 and Muthana’s wife; and their four year old son Abdullah Ghassan Salem Al Hadid. Even prior to operations aimed at recapturing Mosul, the city was the sight of the highest number of civilian casualties in Iraq or Syria. This family, which died more than a year before that assault began in October 2016, were just a few of them. 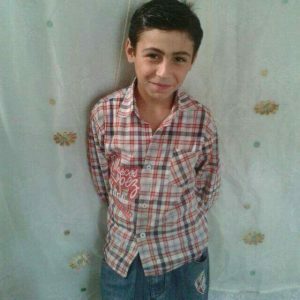 Twelve year old Fares al-Khadour, who perished in an alleged Coalition airstrike, was well know prior to his death. 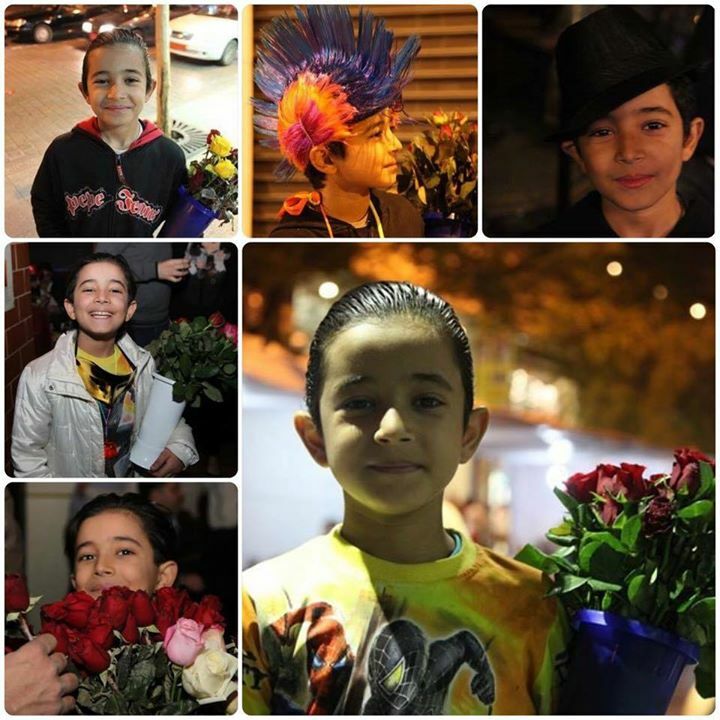 After the outbreak of war Fares had fled to Beirut, where he worked selling flowers on the street. Well dressed, locals on Beirut’s Hamra street would photograph the boy. In early July, Fares travelled back to Al Hassakah, reportedly to see family members. He was killed several days later. At least 40 civilians were reported killed when airstrikes hit the village of Ein al Khan, near al Hawl in Syria’s Hassakah governorate. According to an investigation carried out by the Global Post, the attack took place in the early hours of December 7th. Some reports indicated that local Kurdish forces gave incorrect coordinates to the Coalition. 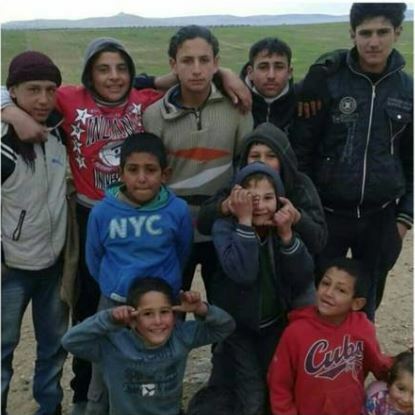 The Syrian Network named 41 civilian victims, while Hasskah Youth Union gave others, including Ali Sleiman Al Abdullah and his children (pictured). At least 10 civilians were killed, including at least 3 women and 3 children, after an alleged Coalition strike hit academic residences associated with Mosul University. The local outlet Yagen described the buildings as housing professors. “One university professor recognized his wife from her hand only, specifically a wedding ring, after her body was torn to shreds,” said another local outlet. 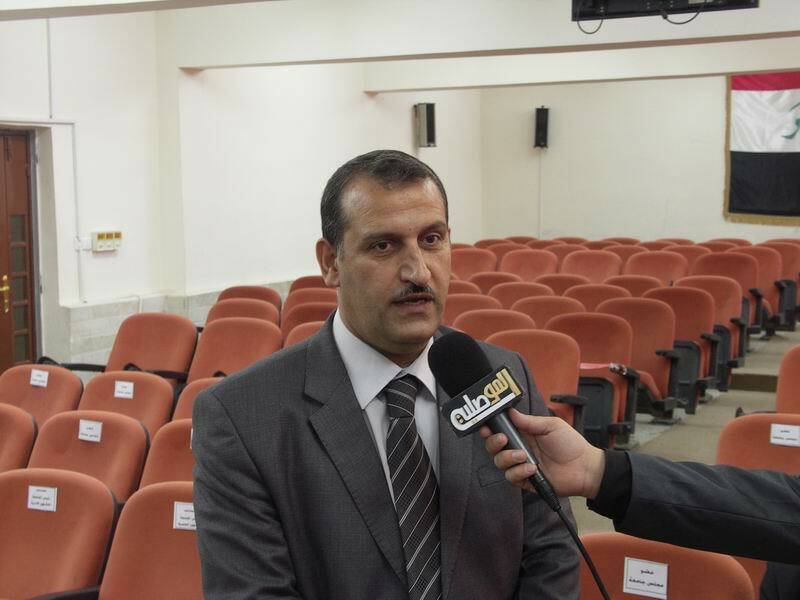 Among the dead was Professor Dhafer Ramadan Al Badrani, pictured, who reportedly perished along with his wife and daughter. At least 22 civilians, including 13 children were reported killed by a suspected Coalition strike in the village of Ojkana, near Manbij in Aleppo governorate. The dead were mostly from three families – that of Saad Allah Al Hussein al Hilal; that of Bahjat al Hussein al Hilal; and the family of Fouad al Hussein al Hilal. The Coalition has not announced an investigation into the incident. Twelve civilians, including at least 3 women and 3 children were killed in a reported Coalition attack on Al Jurnia town in Raqqa governorate. Raqqa has been the scene of hundreds of civilian deaths over the past year. 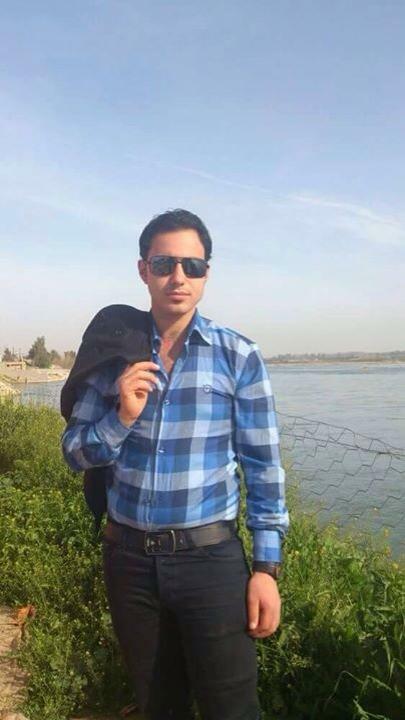 Among those reported killed in overnight attack were three generations of the family of a man named Mohammad Abdallah al Borsan, according to Raqqa is Being Silently Slaughtered. 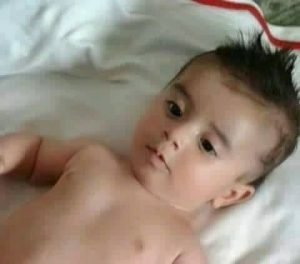 Included was the one year old child Borsan Naser al Ahmad Al Borsan. March was the deadliest month to date for civilians in both Iraq and Syria. One of the worst events in a series of reported catastrophies inside Mosul took place on the very first day of March. According to local reports, at least 50 civilians were killed when airstrikes hit in the vicinity of a mosque in the al-Faruq neighborhood. One local resident, named Thanon Alaa Younis (pictured), was named as a victim. The child Udday Hasan Khalif, 10 years old, killed in an alleged coalition raid on the Al Thani neighbourhood bakery in Tabaqa. At least 36 civilians, and as many as 50, were killed in the Al Thani neighborhood of Tabaqa in one the deadliest incidents in the violently contested Raqqa governorate town. Multiple reports said that the Coalition bombed a central area where a bakery was located, killing employees and dozens of civilians. At least one report said an ISIL headquarters was nearby. VDC named 27 of the victims, and blamed the Coalition. Among those reported killed by other outlets was 10 year old Udai Hasan Khalif. Raqqa remains the site of many of the Coalition’s deadliest incidents. 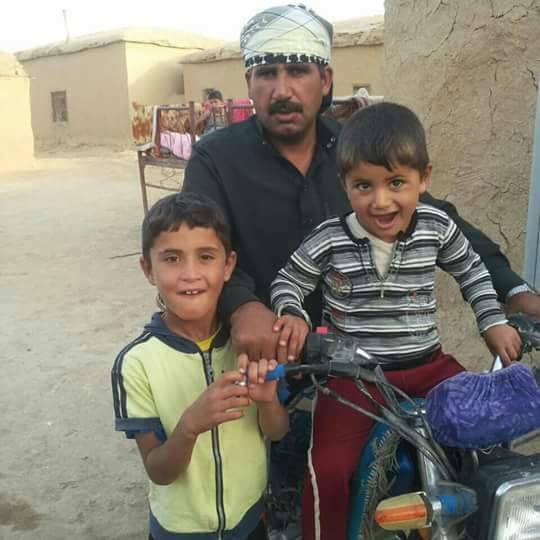 More civilians were killed in the governorate during April than at any point since the Coalition began bombing Syria. Yet no mention of this March 22nd event or many others in Raqqa province are made in the latest Coalition casualty report. In yet another attack on the governorate, local reports indicated that at least 4 civilians were killed in an alleged Coalition strike in the Raqqa countryside. 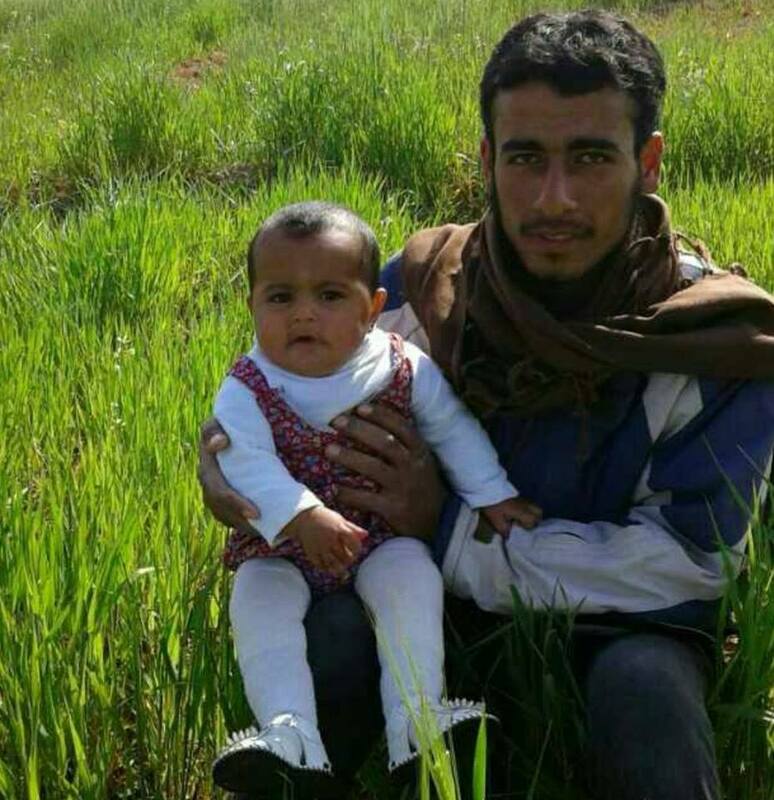 Raqqa is Being Slaughtered Silently named three victims as Mohammed Ali Al-Abd, Hamad Rajab Al-Jalad and Juma’a Al Sha’aban – pictured below holding his child.